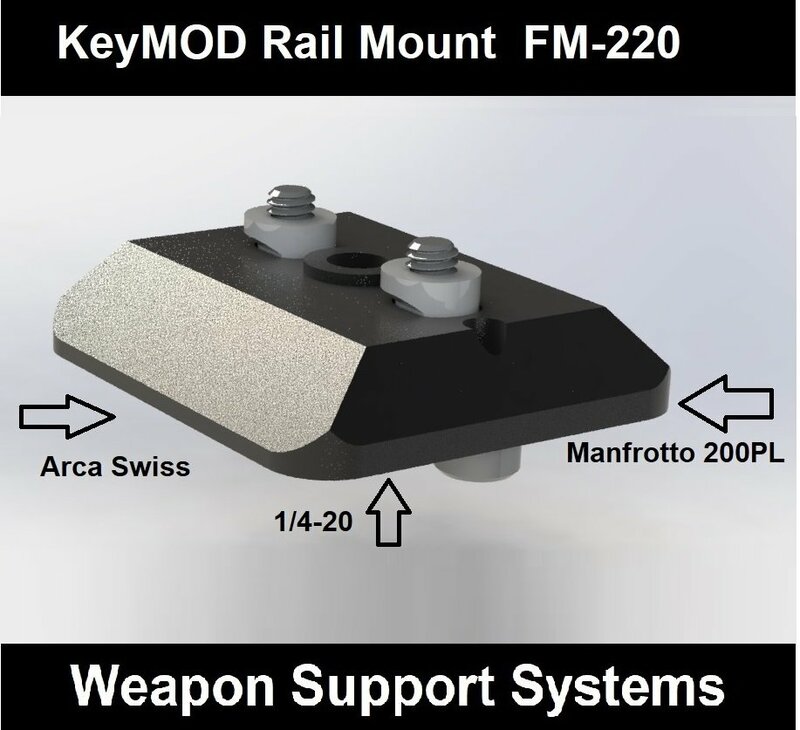 KeyMOD rail mount with direct connect tripod connections to both Arca-Swiss or Manfrotto RC2 (200PL) tripod heads. No adapter plate required. 1/4-20 thread mount also included.